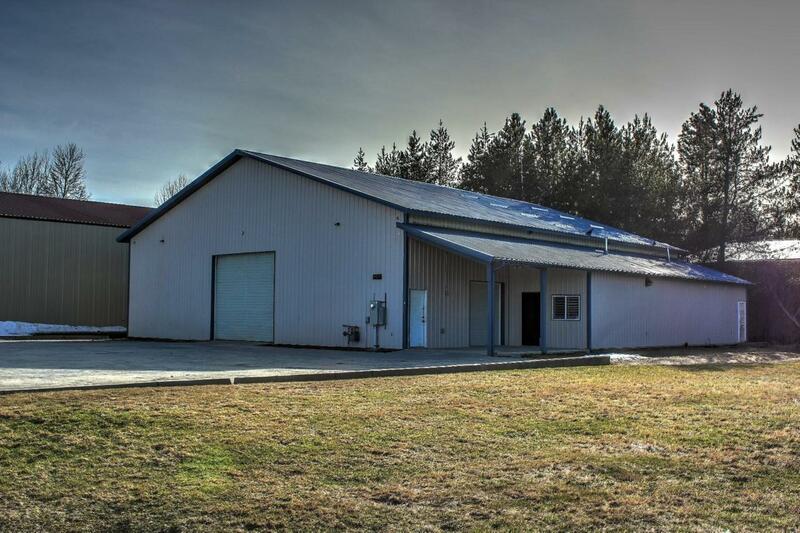 Great commercial building in Ponderay Business Park. 4800sf total building with tons of parking space on .35 acre. Cement floor, Stadium lighting, Airplane hanger radiant heating system, 220 wiring, 2 bathrooms-1 ADA compliant, natural gas, separate office area with private entrance, ready for your business. 3 loading doors, and multiple man door access as well. Build out the inside to be what ever you need, retail, manufacturing --you name it-- you have the space here to create what you want. Great access in an increasingly busy commercial and residential area.